A while back we blogged about the beautiful vintage bicycles of Ferrara. 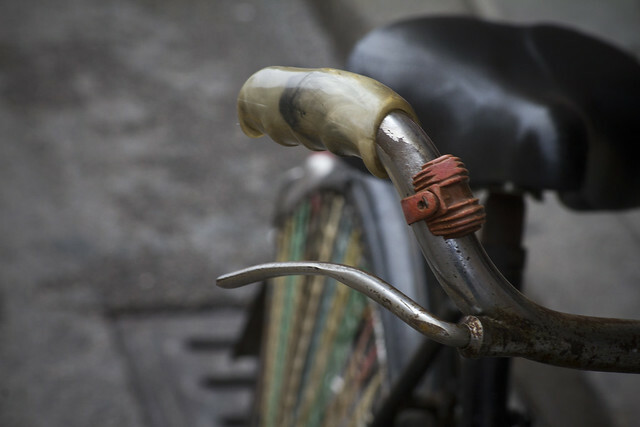 One of the photos was of a rubber thingy attached to handlebars, something many bicycles featured. We were wondering what they were for and you readers had two main theories. 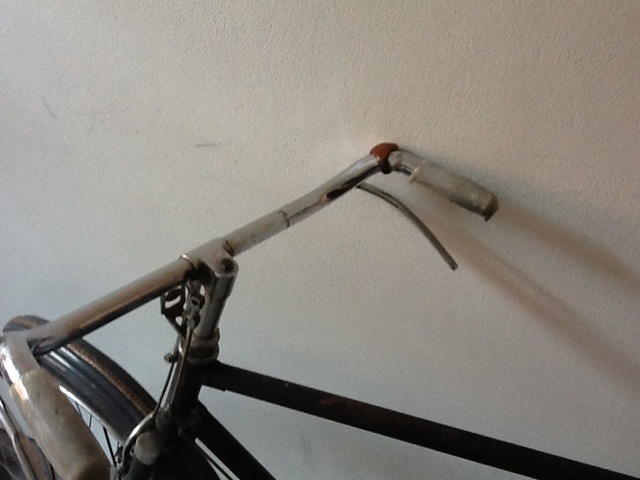 One was that it was for stopping shopping bags from sliding down the handlebars. Completely feasible. 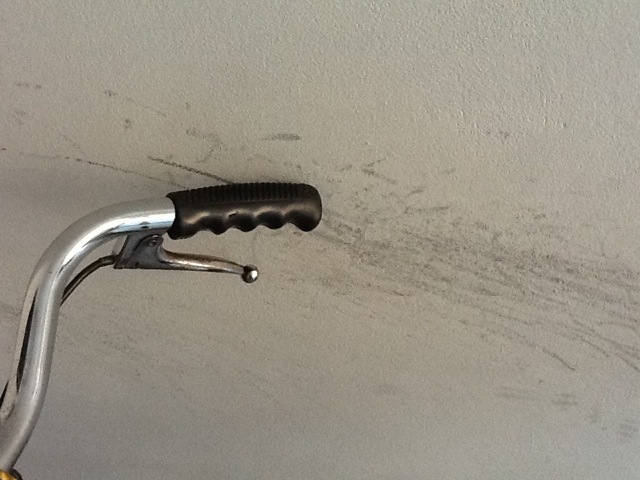 The other was protecting the handlebars from scratches when leaning them up against walls. Thanks to our reader, Sauro, in Venice, we now know the truth. They're called "paramanubrio" - handlebar protectors. Sauro was kind enough to send us these two photos illustrating their use. Sure, they protect the handlebars, but perhaps more importantly, they protect the wall from unsightly markings. I'll bet they're perfect for shopping bags, too. Yet another fantastic accessory from mainstream bicycle culture. How many other simple and yet functional ideas have gone lost since bicycle culture faded away in the 50s and 60s? I shudder at the thought. We are, however, on the lookout for more.